Perfect choice for weeding and other special occasions! 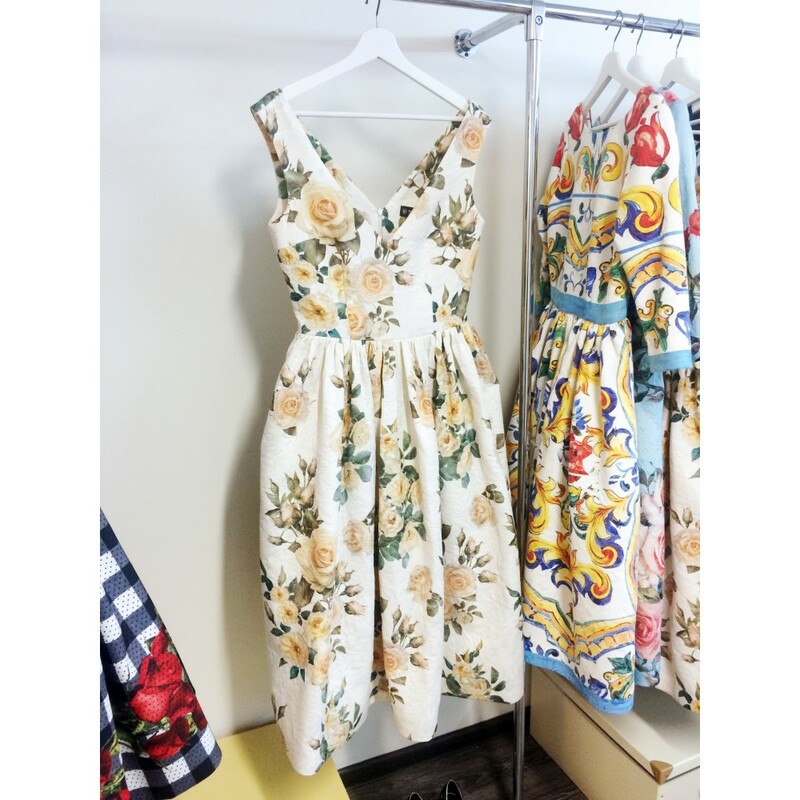 Elegant open shoulder dress with beautiful floral print. Fitted bodice and full shirred skirt with rigilene boning on the hemline.